Missed the Album Release Party? Well like I’ve always said, “Ain’t No Do Overs!”. Still, this is the closest thing to a sequel… Come out for a night of great Hip-Hop, Spoken-Word Poetry, and Funkin’ Rock at Old Ironsides. Experience the cool vibes and flow of The Klay, a tight Alt Hip-Hop band from San Diego, CA. 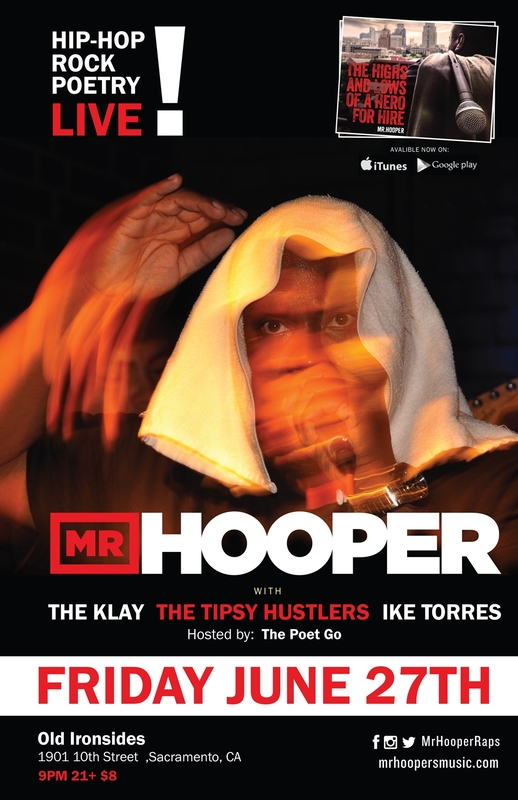 Powerful poet Ike Torres will bless the mic, and stimulate your mind! The Tipsy Hustlers will set the stage on fire with their raw riffs and electric energy!